DESIGN is a purposeful creative action, a life aesthetics and an attitude. It is an expression thousands times on canvases or design objects. ONCE AGAIN is the designer’s rethinking of him/her-self, environment, future business and trend. More importantly it is a challenge to break through the tradition. 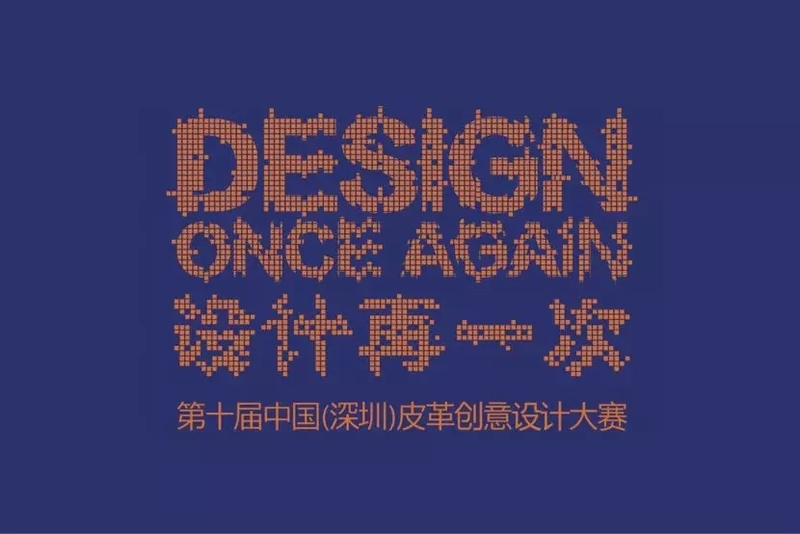 With the theme of “DESIGN, ONCE AGAIN”, the contest expects designers to make another breakthrough in the combination of popular elements, personal design concept and creative ideas. The future is destined to be an era of big data during which information will become the pulse of the time. The future is destined to be a time of ours while being young and fashionable, and rapid renovation will become a mainstream trend. Let search engines, social networks, mobile medias and all kinds of new technologies provide us with an eye for beauty. Let design transcend the barrier of time and space. Let us expand into the future at a speed of 100 megabits per second. Certification and money award RMB 50,000 for each winner or short-term overseas training (cost of the training is equivalent to approximately RMB 50,000 yuan and to be determined by the organizing committee). Certification and money award RMB 8,000 for each winner. Certification and money award RMB 80,000 or short-term overseas training (cost of the training is equivalent to approximately RMB 80,000 yuan and to be determined by the organizing committee). Money award RMB 3,000 yuan, certification, industry recommendation and publicity. Money award RMB 5,000 yuan, certification and industry recommendation. Money award RMB 3,000 yuan each, certification and industry recommendation. Contestants : This contest is open to international and domestic professional designers of footwear, handbags, luggage, leather; Teachers and students from colleges and universities of shoes, bags and art/design; Designers of other professions, and all the enthusiasts who keen on designing shoes, bags, leather and creative leather products. Requirements : Entries must demonstrate the theme of the contest, highlight the concept of creative design, and emphasize the originality of works which should be in line with the theme or proposition of the contest. The design would also demonstrate distinctive styles and future consumer trends. Categories : There are two categories in the contest, conceptual design category and brand proposition category. Handbags/bags : mainly designs of handbags and bags. Leatherware, leather art and leather accessories : mainly all kinds of creative design works for leatherware, leather art, leather accessories, and designs combine leather and intelligent technology. Based on propositions provided by branded enterprise. Contestants and teams need to design a group of product series (can be a series of one product type or a series of product types, such as a combination of footwear, handbags and leather). The proposition will be released in our WeChat official account, so stay tuned! 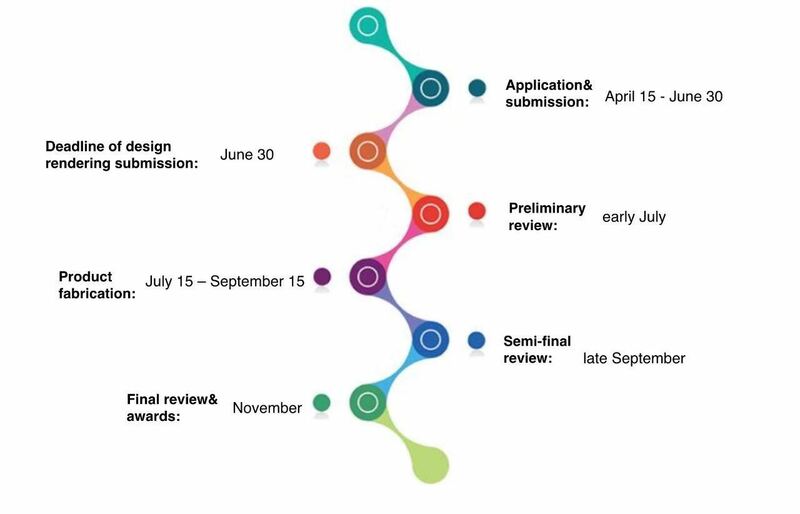 Scoring Standard : Contest submissions will be judged on four major dimensions: design concept, work presentation, production process, and material matching. Contest Judges : we will invite well-known brand design director, professional buyers, college experts and senior industry experts to be the committee of the judges. 1. Entries can be a series of works and associated accessories are acceptable. 2. Entries must be latest products original and unpublished. 3. Entries for brand proposition category need to have marketing value, technology feasibility, practicality and consumer value. Design description including source of inspiration, design concept, design style and popular element, etc. Submit an A3 (297mm long × 420mm wide) size unfolded colored effect drawing. All of the productsmust be printed on the same effect drawing.Original design effect drawing only. No photo copy or paper copy will be accepted. Color and materials used need to be presented in text in the drawing. The size of the drawing has to be as same as the size requested above. Drawings with different sizes will be considered as invalid entries and will be disqualified. No personal information such as designer’s name or recommended organization can be shown on the front of the drawing. Submit a plan structural drawing of the design works separately with no required size limit. Put name of the design work at the top left of the effect drawing. Put personal information such as designer’s name, recommended organization, address, phone number, email address and postcode(must be the same information as in the Application Form) on the back of the effect drawing. And a copy of the contestant’s ID needs to be submitted. Semi-finalists when producing finished product for review, need to provide information including producer or production team or sponsored company, product materials description and supplier of the product materials. Semi-finalists need to submit a short video in mp4 format about the production process of finished product. Semi-finalists from brand proposition categoryneed to submit a design proposal in ppt or pdf format. The proposal needs to include understanding of the proposition, plan intention, design concept, product process and structure, small samples of materials and main design elements. Please send the proposal to email address: szleather@126.com. Finalists need to submit background music for product presentation in mp3 format and submit a short video in mp4 format about the design process, production and demonstration, other material need to be submitted, please refer to item 7) above. 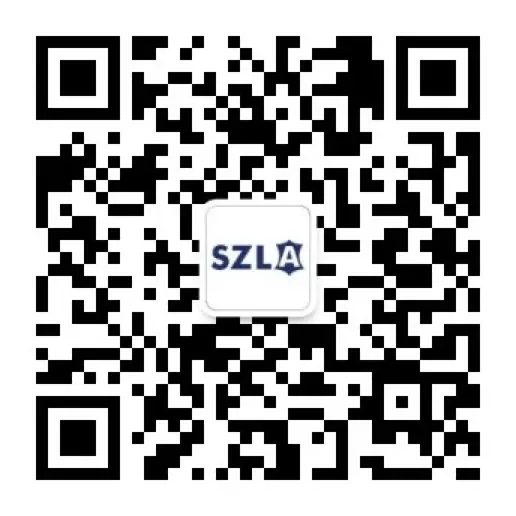 The contest organizer will cover the transportation to Shenzhen (trains only) and accommodation during the final. For overseas contestants, only transportation and accommodation fees within China will be covered. Click “APPLICATION FORM”，download the Application Form. If you have any question, you may leave us messages below, we will reply in time. 1. Contestants cannot submit infringing works. Contest organizing committee have no obligation to run substantial check on ownership and intellectual properties of design entries. In case that any entries infringement or is accused of intellectual property infringement, including patent right, trademark right, design, copyright, etc or ownership related legal responsibility, the contestant assumes all of the responsibility. If the contest organizing committee considered the relevant material provided by the contestant is suspected of infringement, the contestant is obliged to provide relevant supporting documents in time to cooperate with the screening process of the organizing committee until the problem is solved. The contestants themselves shall assume the responsibilities and claims arising from the above reasons. 2. The participated design drawing, the application form, the photograph and etc will not be returned, please retain the manuscript. The contestant should be the sole owner of copyrights of all the entries and the design. The contest organizing committee has the right for collection, exhibition and publication to the contest work (including the design artwork and the finished product). No other entity or individual (including the author himself) may transfer, copy, reproduce, distribute, excerpt, publish, issue or license the work in any form. Before submitting their works, contestants should have carefully read the above terms and fully understand and consent; the organizing committee of this contest has the final ruling on all of the winning works. 3. The designer or contestant should be responsible for the safety and insurance of the design drawing and physical products during the delivery and transportation process. 4. The contest requires no application fee. Contestant Design Contest Official website: http://www.szleather.org. 5. The organizing committee has the final right to interpret the contest. Participants must carefully read thisEntry Requirementsand the legal declaration of the relevant instructions. Whenever the participants submit their work to the committee, they will be considered that they have understood, recognized all the above content, and ensured compliance with the rules of the contest.